Detective Max Rupert is convinced that Jennavieve Pruitt was killed by her husband, Ben. Max’s friend, attorney Boady Sanden, is equally convinced that Ben, his client, is innocent. The case is pushing their friendship to the breaking point and forcing each to confront personal demons. Max is still struggling with the death of his wife four years earlier and the Pruitt case stirs up old memories. Boady hasn’t taken on a defense case since the death of an innocent client, a man Boady believes he could have saved but didn’t. Now he is back in court, determined to redeem himself for having failed in the past. Vividly told from two opposing perspectives, the story of Jennavieve Pruitt’s death disrupts many lives and the truth remains a mystery till the very end. Part police procedural and part legal thriller, The Heavens May Fall is also shrouded in mystery. Max Rupert is a detective who gets assigned to the murder of Jennavieve Pruitt. Initially, all signs point to her husband, Ben being the culprit. Boady Sanden is Rupert’s longtime friend, but when Ben begs him to represent him their friendship is strained. Loyalties are tested and past transgressions threaten to surface. Max and Boady are both rich and complicated characters who are struggling with personal turmoil. Max’s wife died four years ago and he is overwhelmingly haunted by his loss. Boady quit practicing law and switched to teaching it after losing a critical case and he has never quite come to terms with the outcome. Will this be the case that rights the wrongs of the past? Or will it break these two men for the final time? It’s apparent that Eskens has a background in law as he incorporated what could be very dry and frankly, boring legal jargon into the story frequently. But I was far from bored as he was able to explain these dense terms in a way that was easy to fully understand and this added something notable to the book. While I was able to see a few minor plot twists coming, the ending more than made up for that. The final chapters were completely unexpected and ultimately satisfying. 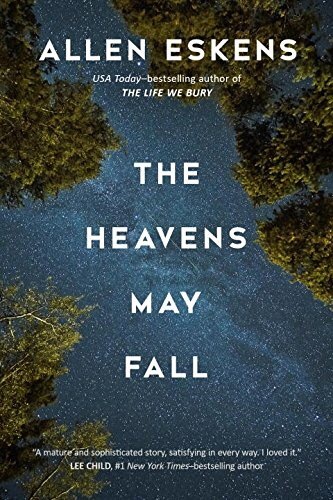 Full of taut writing, flawed heroes and an impressive plot, The Heavens May Fall will be on my must read list for all. Thanks to Seventh Street Books for my copy in exchange for an honest review. YES!! So glad to hear this one was excellent. I’m only 20 pages in as I passed out last night; stoked to jump back in!! I think you’ll love it too! I loved his writing/plotting style. 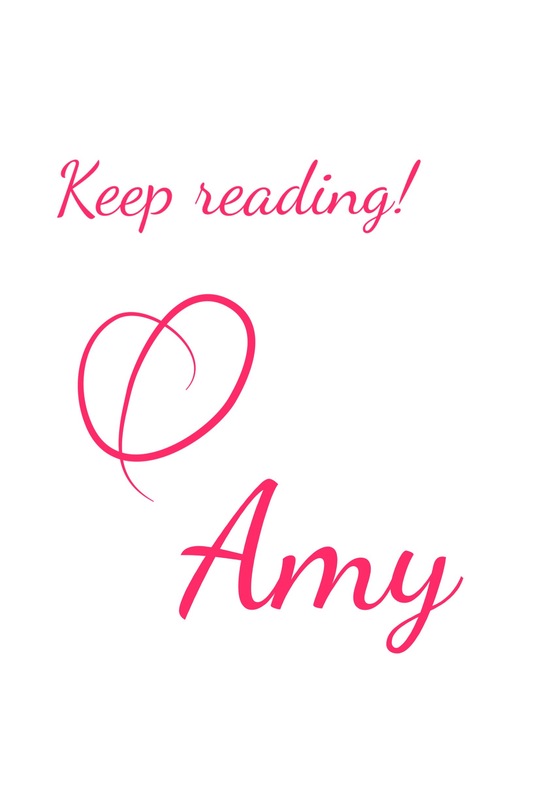 Here’s another one to add to Goodreads! Nice review! 🙂 This reminds me of Law & Order, and as a law major, I always loved that show. I’ve always been into following the police around to solve the crime and then flipping over to the legal parts. Sounds intriguing. Oh I didn’t know you were a law major! This one would appeal to you for sure then. I haven’t read him in a long time I need to go back to him! Thanks Annie! It was rather tidy but I like that sometimes haha.